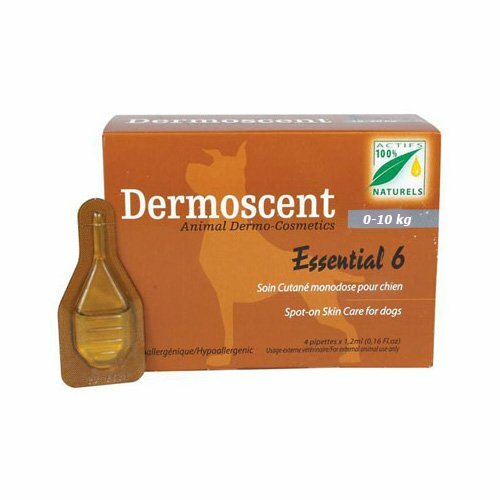 Manufactured by Bayer, Dermoscent Essential 6 is an easy to use conditioner for dog’s skin and coat. The natural ingredients in the conditioner paves way for healthier, shiny skin coat and prevent foul smell, dry skin, fur loss and skin flakiness in dogs. 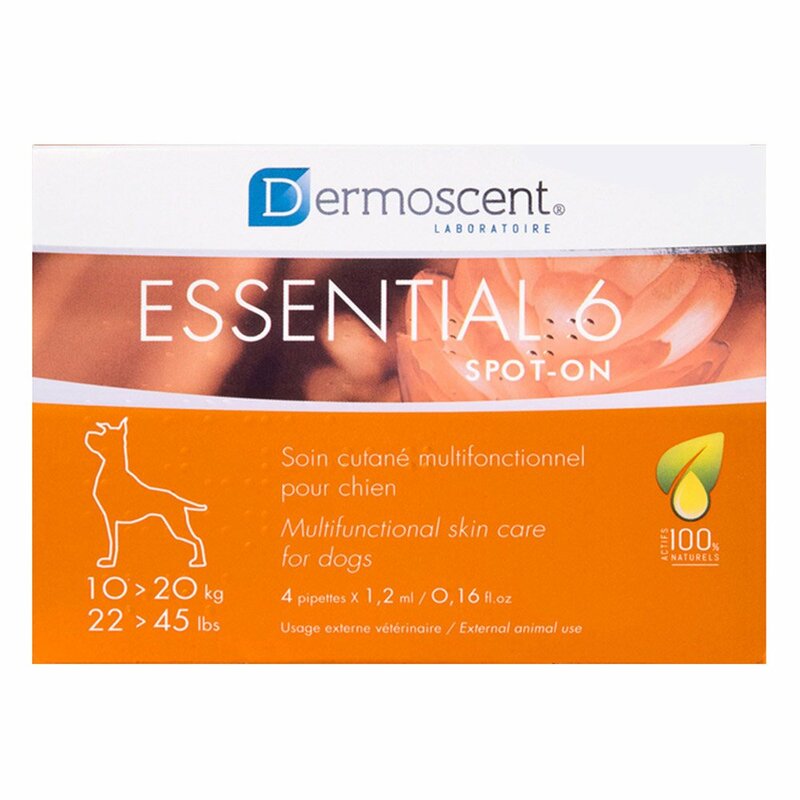 Used for dogs over that are older than three months, Dermoscent shows improvement in skin and coat condition of the treated pet. 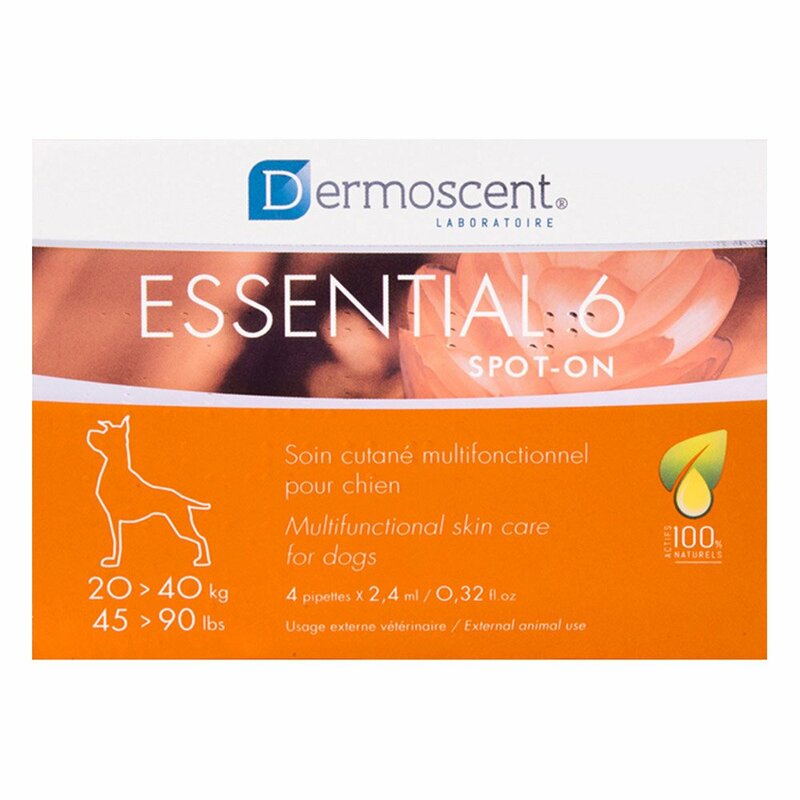 Dermoscent Essential 6 for dogs is a topical conditioner that keeps the pet’s hair, skin, coat healthy, dirt free, and smooth. 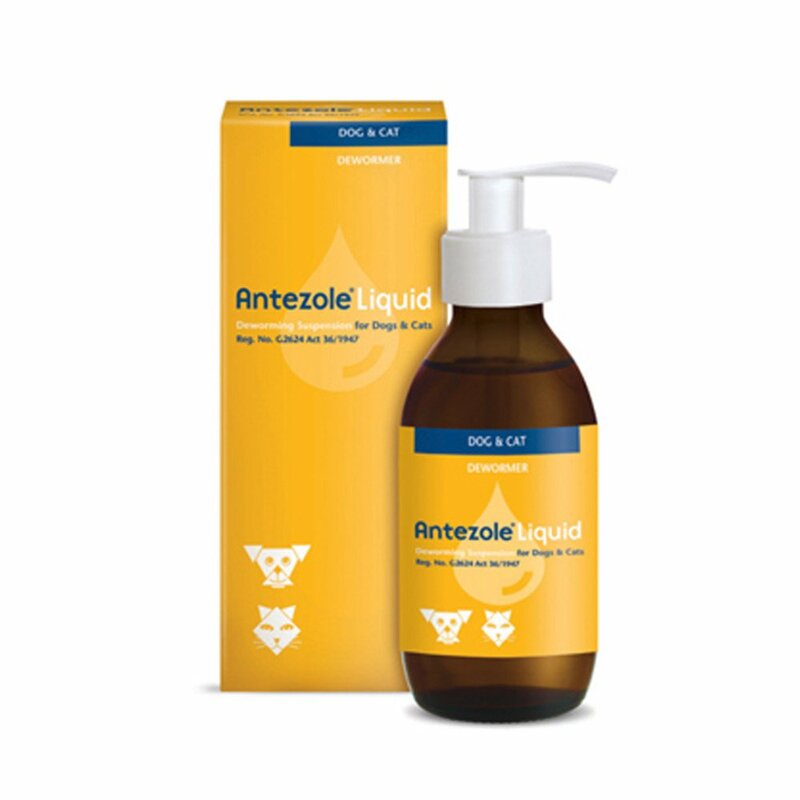 Its natural ingredients reduce coat shedding and odor in dogs. Easy to apply, this conditioner inhibits fur smell, dryness, skin flakiness, squamosis and provides relief in hair loss. It is highly beneficial for skin and coat of the dog. 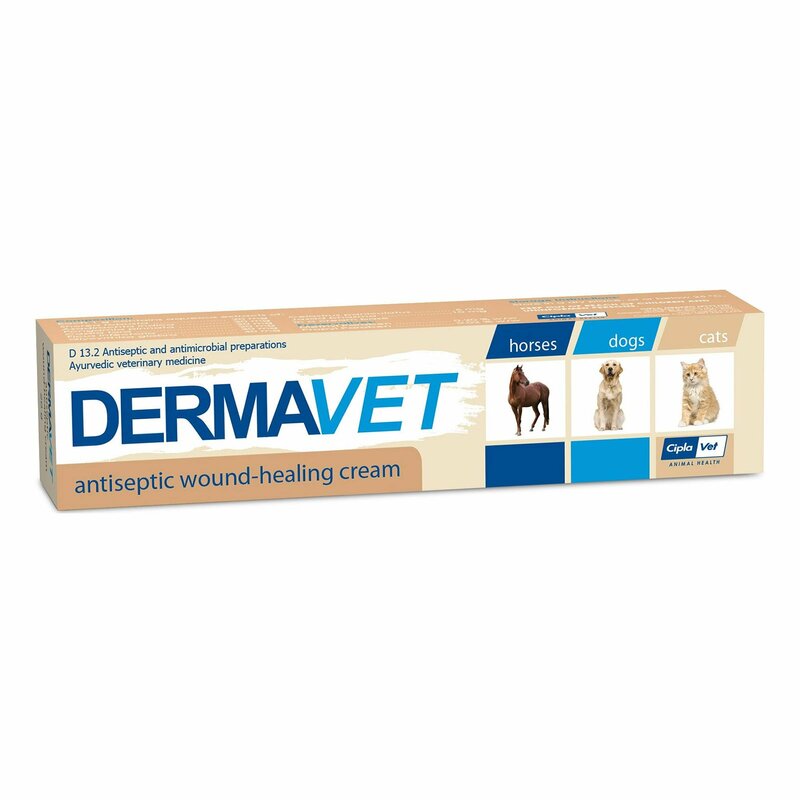 It restores hydrolipidic film of the dog’s skin. Maintains hydration in dog’s skin and reduces dryness as well as oiliness thus maintaining a healthy coat. Eliminates foul smell and fur odor in the treated pet. Prevents skin irritation and deodorizes the skin. 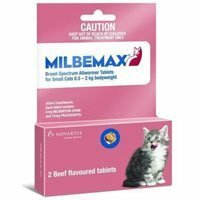 Reduces fur loss and supports hair growth in the pet. Apply the Dermoscent pipette directly to your dog's skin between the shoulders where it cannot lick off. Do not shampoo dog 48 hours either side of treatment. For dogs with longer hair, brush reside from fur 24 hours after application. Do not shampoo your pet two days prior to the use of Dermoscent. 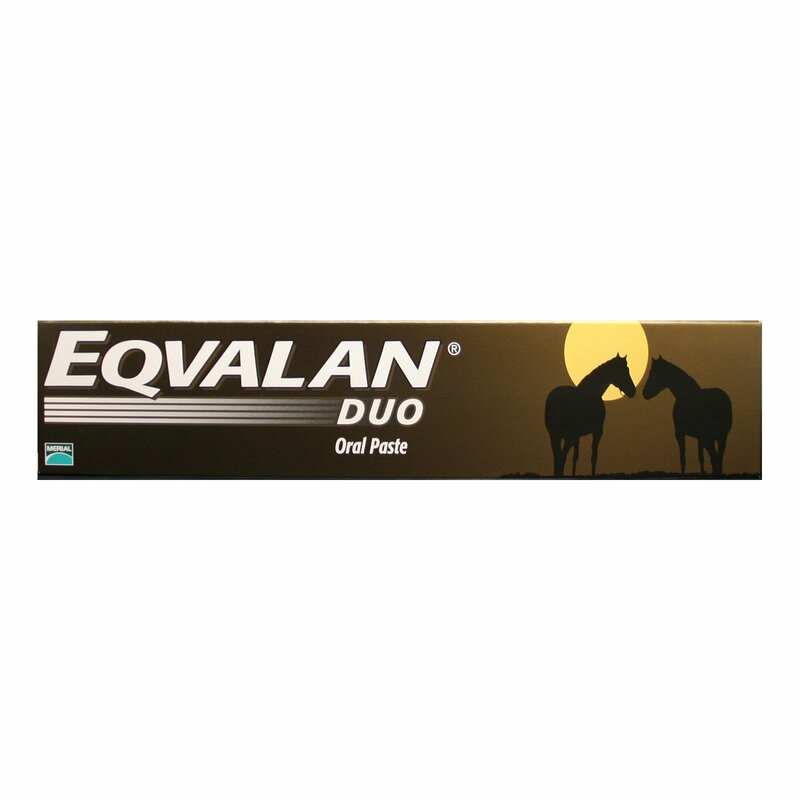 Use other spot-on treatments at a gap of two days. 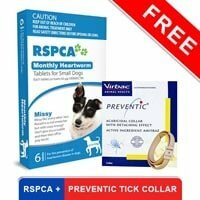 If the pet ingests Dermoscent and shows any adverse signs then contact a veterinarian for advice. Keep away from leather, fabric or varnished material after applying the treatment. Removes dryness and makes the coat soft. Easy to apply conditioner for my canine friend and it has reduced the shedding of fur. 74 of 95 found this review helpful.